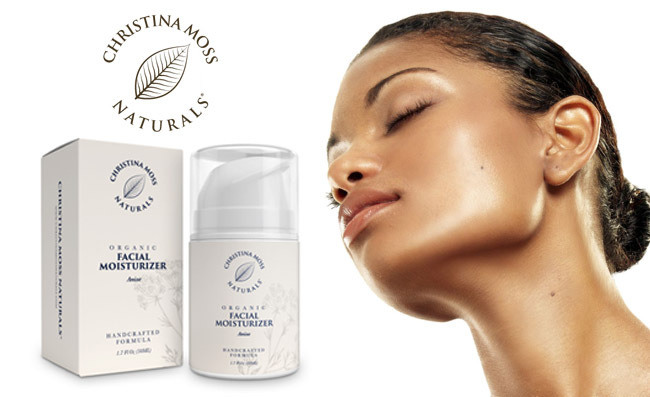 Is the Facial Moisturizer by Christina Moss good for the black skin? Why is its formula so efficient? How does it feel on skin? What are the tips for use? What do we like the most about it? What do we like less? Despite of what many could think, the black skin has its typical issues and it’s not always easy to find the right options for addressing those skin issues. Truth be told, the African-American skin does show the fine lines and wrinkles from aging a bit later in life, but this doesn’t mean it doesn’t need proper care. From the right hydration to moisturizing and improving the skin texture and tone, the black skin also presents its very own set of problems. 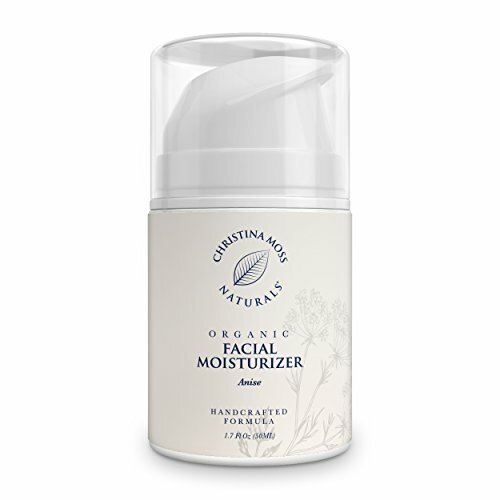 Made with certified organic ingredients, the Facial Moisturizer by Christina Moss doesn’t fit just the black skin. Its formula does make it good for all skin types, including the African-American skin. The moisturizer is free of harmful toxic petrochemicals and is based on Star Anise Seed oil, which explains the subtle licorice scent. However, the smell doesn’t linger for long time on the skin. Not only the ingredients are organic and natural, but the manufacturing method also allows the moisturizer to be free of toxic petrochemicals. Fighting the free radicals, the moisturizer is a great choice for the sensitive skin, which is, so often, the black skin. It reduces the appearance of fine lines, wrinkles and moisturizes deeply the face, eye, neck and décolleté. It moisturizes the skin without stripping it or drying. It doesn’t build up and softens the skin in a natural way. The formula also doesn’t include any fillers or blinders and it’s highly concentrated. It nourishes the skin, leaving it smoother and more radiant. Aloe Vera-alleviates symptoms of eczema and psoriasis. It moisturizes the skin and keeps acne at bay. It slows down the aging of skin and minimizes the appearance of stretch marks and wrinkles. Apricot kernel oil-it’s a non-greasy emollient. It leaves your skin silky and hydrated. It increases the elasticity of skin and has anti-aging abilities. It sustains the collagen production in skin as it’s loaded with vitamin C, A and E. It also repairs the UV damage on skin and smooths out the wrinkles and rough skin. Grape seed oil- it protects the skin from the harmful UVs. It’s anti-oxidant and helps with the aging of skin, fading out melasma. Avocado oil- it sooths the skin and brings comfort for cracked skin. It nourishes and hydrates the skin, moisturizing it deeply as well. Star anise seed oil- it’s antiseptic and has detoxifying abilities too. It keeps your skin healthy and radiant. It brings relief from spots, acne and damaged skin. It softens and smooths the skin, giving it a natural glow. Needless to say, the formula doesn’t include harmful chemicals like SLS, SLES, propylene glycol derivatives, sulfates, dyes, synthetic fragrance, sulfates, parabens or preservatives. The moisturizer is cruelty free and has never been tested on animals. It’s made with only the freshest ingredients and addresses all skin types. The moisturizer is lightweight and doesn’t leave a greasy feel on skin. A little goes a long way and the moisturizer soaks right in. You may apply it on your cleansed skin, twice a day. You can perfectly apply it as often as you want- as long as your skin is cleansed. Many may notice the subtle licorice smell, but it’s important to mention the smell doesn’t linger on skin. The moisturizer doesn’t leave a film and it doesn’t build up either. It doesn’t clog pores and doesn’t strip the skin from its oils. It works for the dry skin and doesn’t give irritation either. The formula is hypoallergenic and each jar is made fresh with recycled plastic and biodegradable labels. The moisturizes addresses various skin issues and works for all skin types, bringing out the best of the black skin. As long as you’re not using too much of it on each use, you should be on the safe side when using it. Recent reviews on Sugar & Fluff Beauty: the Elemis Dynamic Resurfacing Skin Care System, the Joanna Vargas Exfoliating Mask, the BeeFriendly Face and Eye Cream Moisturizer, the Image The Max Serum with VT, the Dragons Blood vy Swiss Botany Review.